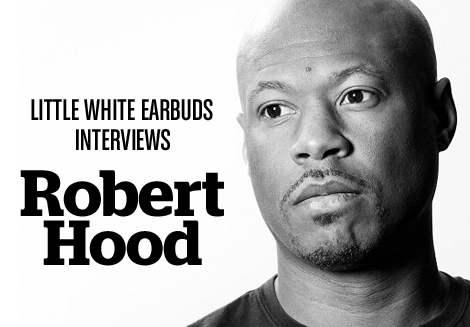 To factor the influence that Robert Hood has had in modern electronic music is no easy task. For not only was he part of the era-defining, second wave, Detroit techno militia Underground Resistance, but also can claim to be almost singlehandedly responsible for what we now term minimal techno. His Internal Empire and Minimal Nation albums stand to this day as blueprints for the genre that has since sparked ongoing generations of imitators with few managing to capture the raw essence of Hood’s vision. His M-Plant label has stood mostly as a vehicle for his own releases, though has from time to time played home to kindred spirits, and after a hiatus of some seven years was reactivated in 2009 with a run of new material and critical re-issues of classics from the vaults. In a career that spans some twenty years Robert Hood has indelibly left his mark on the techno landscape and to this day he continues to explore his particular brand of stripped back, haunting techno funk. LWE spoke to Mr. Hood about his new album, Omega, injecting faith into music and hearing the echoes of Motown through techno. You’re now living in Alabama. How does the more scenic surroundings go with producing something as raw and uncompromising as Omega? Well you see it’s all in the mind, I just go inside myself and inside of my visions. When I was living in Detroit I had to step outside of myself sometimes and just observe the environment and grasp these visions and interpret them the best that I could. I would see life in Detroit as an observer. For instance on the Nighttime World albums, it’s basically observing urban life from a watchers point of view. So now, living in Alabama, I’ve had to go inside myself and pull out my imagination from experiences and imagining what life must have been like here in the South during the slave times and during segregation. It’s a process of pulling these thoughts and ideas and stories that I hear from other people and expressing them as best I can. Your music has always stood out from the rest of Detroit techno. Can you tell us about finding your own sound and how conscious you were of making it so distinctly recognizable? Well that was the first thing that I determined; I had to sound original. Of course I draw a lot of influence from a lot of other musicians and DJs; I also draw a lot of influence from a lot of film directors, from writers like Langston Hughes, from soul music, Marvin Gaye, Stevie Wonder, from lyrics, listening to David Byrne and Talking Heads. I determined that I had to identify with my own profile and not be like anybody else although I was made of many different influences. But I had to turn that into an original thought and an original vision. I had my own interpretation of electronic music and music as a whole; how I looked at love songs and traditional concepts and structures within all music. So I had to remember those things and at the same time take them apart and re-assemble them, so it’s just a strong identity and a strong need to be myself and not try to follow anybody else. The 70’s was a great blueprint for that; you didn’t have artists try to sound like and copy each other to sell a product the way we do today. We have this cookie-cutter idea in principal about music where it’s just a product and a commodity and it’s not art. One of the things that has struck me about your music over the years is just how well it’s aged over the years in terms of sound quality. I remember picking up some of your earliest releases and you can still put those next to some of your latest material and there is just this clean precision of sound all the way through. Short of getting you to divulge your production secrets, what is your secret? Well, listening to Kraftwerk and listening to Dr. Dre and people who take their time. You know, I really don’t consider myself an engineer in the traditional sense. In my opinion my ears are bad but I try to meticulously go through each sound and make them as vivid as I possibly can with the sparse equipment I have and just try not to clutter it up and try to keep it separated. Again, I’m not an avid technical person, I just try to listen as best I can. I just marvel at the engineers who worked on all of the Kraftwerk records and I just try to pay attention and to listen. Throughout your career you’ve done so many remixes of incredible artists. What have been a couple of your favourite ones and perhaps ones that have challenged you? I did one for a guy called DJ 3000, a Detroit native. Frankie is his name and he’s a very melodic type of cat and he has this pristine production too. So that was a challenge, to approach this particular mix and I had fun doing it too. It hasn’t been released yet but that was definitely a challenge. I had a lot of fun working on the Ben Klock remix too and it’s one of those records where it’s fun to play and it was fun to reassemble too. There was also a remix I did back in ’94 or ’95 for Ian Pooley and that was big fun. I still love that record today. I also did a remix of an X-103 project, “Atlantis,” and that’s one of my favorites as well. You were talking a little earlier about being in to the sounds of Marvin Gaye and soul when you were young. Listening to your music, a lot of people wouldn’t be able to see the influence there. For you, how much do you feel that your minimalism draws on that legacy of funk and soul? Well, for me personally, I hear echoes of James Jamerson (the uncredited Motown bassist on most of their 60’s-70’s hits). So the sounds that were able to take you into a place and a time after the riots in Detroit and give you a vision of an atmosphere that was like telling you a story. Isaac Hayes, for example, was able to give you an idea of life on the city streets through the “Shaft” soundtrack, so for me with minimalism, it was taking listeners into an atmosphere of Detroit the way I saw it; the grayness and the hopelessness. But through that hopelessness there was also a hope of a potential of what could be a bright future, of still having faith and hope. I think I’ve been able to do that through minimal music. It is at times dark and kind of sinister but then we’re dealing with reality, with situations and circumstances that are obviously there in our lives. We see what’s happening in Haiti, what’s happening all over the world with the environment, with wars and destruction but I try to evoke a feeling of hope and a hopeful future. And for me, with Marvin Gaye through songs like “Holy Holy,” “What’s Going On?” and “Save The Children,” Stevie Wonder’s Songs In The Key Of Life, that’s what I try to weave into the tracks that I make and I feel that’s been accomplished. With that in mind, you’re a religious man. Do you tie in your faith to your music and how you approach it? Oh absolutely, God is the source of everything I do, is the source of our existence and the source of our vision. God is a spirit and so are we; I’m just in tune with the Holy Spirit and I give all honor and credit to that driving force and am always mindful of God’s spirit. I think we don’t realize that we are all spirits but there have been times I haven’t paid attention to my spiritual calling and my inner vision, so to speak, and tried to do it on my own. But it’s amazing what a person can do when they are in tune with the spiritual self. The ideas behind the early second wave of Detroit techno always seemed to me to be more than just about the music. Can you tell us a bit about the ideals you had and those of people like Mike Banks and Jeff Mills who you were working closely with and how they extended beyond just making great music? Yeah it was all about reality and dealing with reality. At the time Public Enemy was out there pushing this idea of being culturally and socially aware about our surroundings and about ourselves. That was the main focus of Underground Resistance, whereas some of our contemporaries were more concerned about a fantasy landscape. We were definitely all about reality and that was the driving force behind UR. We dealt with the experimental subjects on the X projects. But when you’re living buildings that are burned out from the Detroit riots, it just seeps into your DNA and so we felt it necessary to chronicle this life in Detroit. You know I rode the bus with these single mothers that would get up at 6 o’clock in the morning in the dead of winter and would have to struggle, the Detroit struggle was what it was about. We tried to focus on documenting this experience. I’m not going to ask you the same question about what happened with you guys at UR because I’m sure it’s very boring for you, but are you ever in touch with each other? I don’t know if Mike and Jeff keep in touch but we see each other on the road and it’s friendly. I mean, we’re brothers and we have a tie and a bond, musically and spiritually. We lived together, worked together and travelled together and that won’t ever change. They definitely blessed and touched my life and I would like to think that I did so likewise, so when we do see each other it’s all love. It must be really interesting having been in that collective that was such an incubation unit for amazing ideas, being able to see where each other’s careers are at, that you’re all still upholding these ideals you forged back then. Yeah it is, and I was like a sponge, man. At the time I was just a young impressionable adult just trying to learn from them masters. It was like learning from Obi Wan Kenobi and Yoda, learning how to use the force. It was amazing to see how they worked together because individually they’re both such completely different people. Mike was this militant, raw street guy and a great musician, skilled on the keyboard and the strings as well as on production. And then Jeff, it was amazing just to watch him edit on the two-inch reel, it was like watching a surgeon and scientist operate and making these drum patterns, so I was just a greedy sponge watching all this. And then the way they thought and their concepts helped me to develop and it was just an amazing experience. You continued to release music after M-Plant went inactive in 2002. What was the reason behind putting a hold on the label and the reason for reactivating it, too? Distribution after 9/11, it was already going bad and the industry was just over-saturated and I was becoming disheartened and uninspired. So all of these factors were just starting to mount so I just wanted to take step back and put M-Plant on hold to look at another approach. Music downloads were really starting to take hold and put a strain on the market so I was very unsure about what was happening as I’m sure a lot of labels and producers were. Bringing it back was just a matter of time; I just needed to catch my footing and approach things differently. The new minimal movement; you have a handful of artists who really got the artistic properties of minimalism, but for the most part, 85-90% of them did not and are just going minimal for the sake of it. So we had to bring it back to continue to tell the story and to set it straight. Are we likely to see a continuation of Drama and Duet and some of the other labels as well? I don’t know. I’m thinking that over right now and I’ve got a new Floorplan EP coming out later this summer. I haven’t decided on the others yet whether I’m going to revisit them too; I’m just so wrapped up right now in reinventing M-Plant and reinventing Robert Hood and reintroducing myself and the label to this newer generation and rehashing the old relationships for those who have been down with me throughout the years. So at the moment that’s my focus and we’ll look at the other labels a bit later. Let’s talk about some of the pseudonyms you’ve used throughout the years. A lot of Detroit producers have played around with different names and you’re no different there. Some of your aliases are obvious — for instance when you use the Floorplan moniker. But what makes a Monobox release different from a Robert Hood release? A Monobox release is — well, I don’t like to use the term “intelligent techno,” but it is more experimental. It’s taken from a book I read when I was a kid, maybe 13 or14-years-old, about these aliens who came to earth. There was this black box that floated above the Earth for weeks on end. It was just this ominous box floating above the earth and the book dealt with the minds of the earthlings who were just trying to grasp what this box was. The diminutive sound that comes out of this side of me is very different from the more soulful Robert Hood, Minimal Nation sort of sound. It’s more of a cold sound, looking at art and electronic music from more of an alien, android perspective rather than a human side. And what about The Vision? I got that name from a comic book character from The Avengers and at the time it seemed kind of fitting with being a part of Underground Resistance because I considered myself a rogue member of the UR organization, a renegade affiliate of theirs. I saw myself as this comic book character. Technologically how much has your studio evolved over the years? Are you more digital based now? It’s still pretty much the same as it’s always been. I mean I don’t use a 909 any more but I still produce the same way but the gear — I never really relied on samplers that much. Only really with Floorplan with some disco loops here and there but I still produce the same way. Hardware sequencing is still my choice. The biggest thing I’ve changed is my drum sounds. You’ve focused the bulk of your career on minimalism. Being very ideas rich in how you approach your records, after all these years do you find your music is still giving back to you and teaching you? Absolutely, I mean when you’re in tune with where your wealth of creativity and inspiration is coming from then it’s a never-ending well of discovery and that for me comes back to my belief in God. On this Omega album I felt that inspiration coming from many different moments in time. I mean, there are moments on there that remind me of 70’s kind of David Axelrod feeling and then also a futuristic, sci-fi, cinematic feeling too. So I’m constantly discovering minimal grooves and percussion, bass lines, it’s just never-ending. I feel like I’m perpetually stuck at the age of 22. I feel like I’m growing spiritually and as a man but there’s this fountain of youth and my state of mind is constantly being renewed. Great to know more about the driving inspirations behind such fascinating music. Thanks. Absolute legend and a true individual! Great interview, I really enjoyed it. Robert Hood was so before his time a true innovator. Great interview! I find it amazing how some Detroit artists (often former UR members like Robert, Jeff or Mike) explore a certain vision of our world, the universe and alien life through music. These guys are true artists, they use music to express ideas that are virtually philosophical or metaphysical. Respect. Awesome interview… His live show at DEMF was the highlight of the festival. He definitely took us ‘there’ during that set! awesome interview, lost me with the spirituality stuff but if it helped him make the music then I will bite my tongue. At least he didn’t go into religious territory in his answers. one of the legends for sure!